Construction Solutions undertook this project for McLaren Construction in 2014/15. The building was formerly a Grade II listed motor factory and showroom but required conversion to include three additional floors and a glazed domed roof. 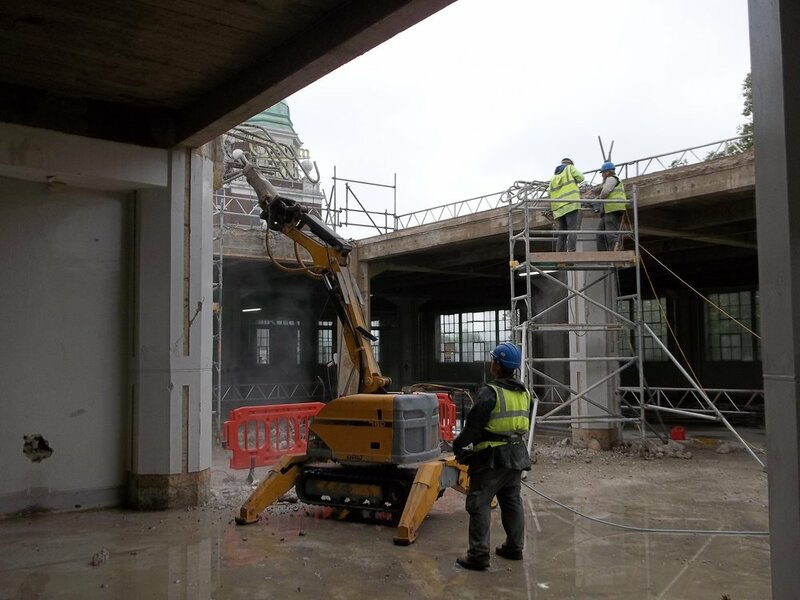 Our role included demolition works to the original loading bay, installation of the crane base and ramps, reinforced concrete works to create the core as pictured and concrete slabs to each additional floor and roof. The works were completed on budget and on time.